I would like to begin this article by expressing my appreciation to the Knights of St. Andrew for their confidence in me to lead us this year. Our officers are of great character and are enthusiastic about our goals. We had a close Election which to me is a great sign that there are multiple Brothers who wish to take the lead and get the KSA where I think we all would like it to go forward! 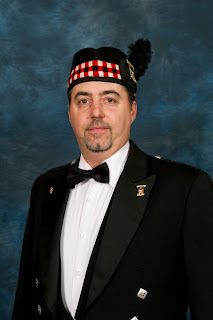 I would, on behalf of the KSA, like to extend a round of applause for our 2014 Chief Knight, Worshipful Mike Sloan, for serving all of our Scottish Rite Brethren , Thank you Worshipful! The Knights of St. Andrew was formed to be a service organization for all of the Scottish Rite Bodies and its members. This year we will step up our efforts in many ways, working together with you to ensure success throughout this year. The KSA is planning two events this year for the Scottish Rite as well as community events and we will detail these after our first meeting of the year. The Knights of St. Andrew take being Knights seriously and believe in the Chivalric qualities that can elevate a man to be a true Knight in his heart, as well as being better friends, partners and leaders in our communities. In the process of improving our service to you, we will elevate the KSA to a level on par with our fellow Knights of the York Rite and be the service organization that our KSA charter members envisioned and all of you deserve. application to become an active member of the Knights of St. Andrew. If you have been searching for a way to get involved in Scottish Rite, this is a great opportunity for you. Our first meeting for 2015 is February 3rd at 7:00 p.m. SJSR center. Please rsvp Food will be provided.